Long before there were words, there were shapes. Long before written language as we know it today was developed, people communicated using drawings. Our mind is wired to look for shapes and match visual patterns from the day we are born. Letters are shapes and although they might seem arbitrary to a modern eye, they evolved from simple drawings representing real objects. In some languages they still are. Today we are excited to announce the latest addition to the seempli Platform: the ReShape Seeds. 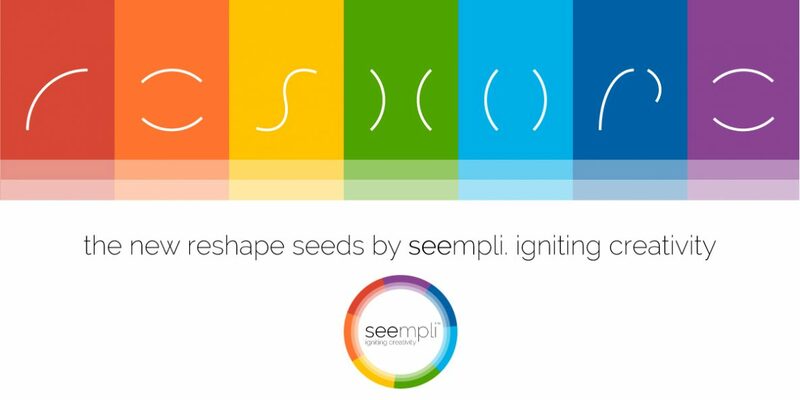 Seeds are the basic building blocks in seempli. 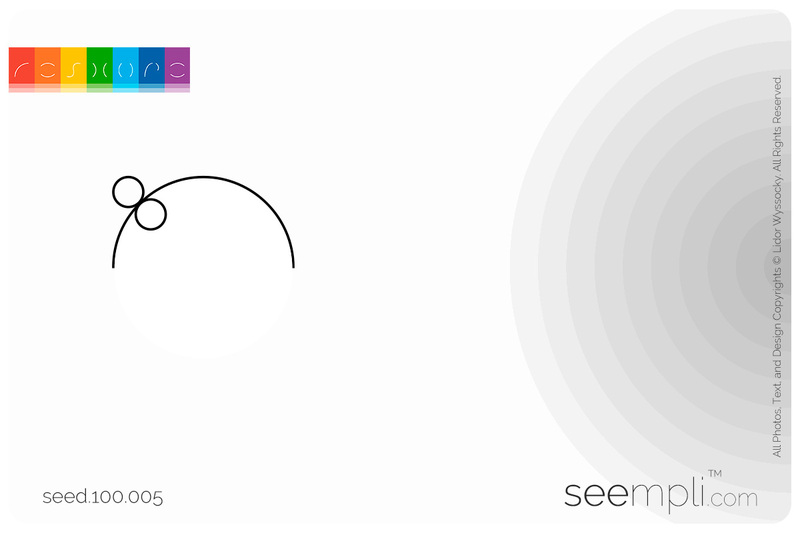 Whether you play with Prisms or using Gears as part of your creative workflow, Seeds are always an essential part of the seempli creative game-play. Until today, seempli Seeds were purely textual. This was not an arbitrary decision. 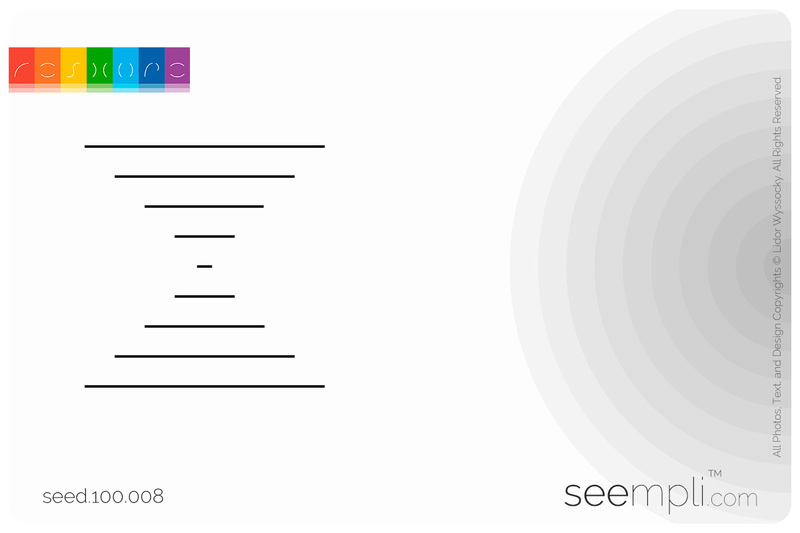 When we considered using photos and images vs using text, we realized textual Seeds would be more open to interpretations, trigger different perspectives, and will help anyone working with seempli to see things differently. We wanted your imagination to work overtime in taking the textual Seed and creating the connection between it and the real world. We found that photos are too explicit in that respect — they create a bias toward a certain interpretation. The seempli textual Seeds are helping our community discover and create amazing things, but we are always looking for new ways to challenge ourselves and our users. And that is how the ReShape Seeds were born. The first thing you will notice when you pick a ReShape Seed is that it doesn’t have a title. Well, to be honest, it does, but we decided not to add it to the Seed itself (more on that in a minute). Instead, the essence of the Seed is an abstract shape. Unlike a photo or an explicit drawing which often draw you to a very specific direction, the shape at the heart of any ReShape Seed is abstract, open for endless interpretations, and sometimes even enigmatic — and that’s just what we want it to be. We want you to imagine what you are looking at and take it to a whole new surprising place. 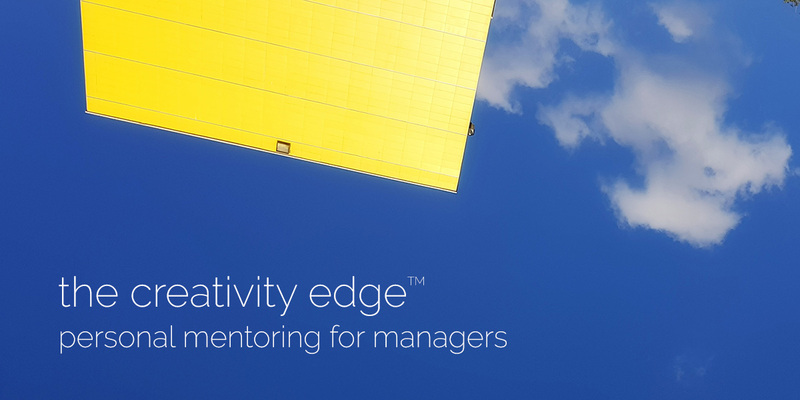 So, how can you ignite your creativity with our new ReShape Seeds? If you are already familiar with seempli, you already know all you need to play. Just like any other Seed, you can use the ReShape Seeds with any Prism. At the same time, we are adding some dedicate Prisms which will take advantage of the unique characteristics of the ReShape Seeds. Let’s walk-through an example together. Take this ReShape Seed. Look at it. Memorize it. But for now, don’t try to make sense of it. Now, with the Exploration Prism, just look around you where ever you are throughout the day, and capture Insights that visually remind you this shape. What will you find? Well, nobody can say in advance. 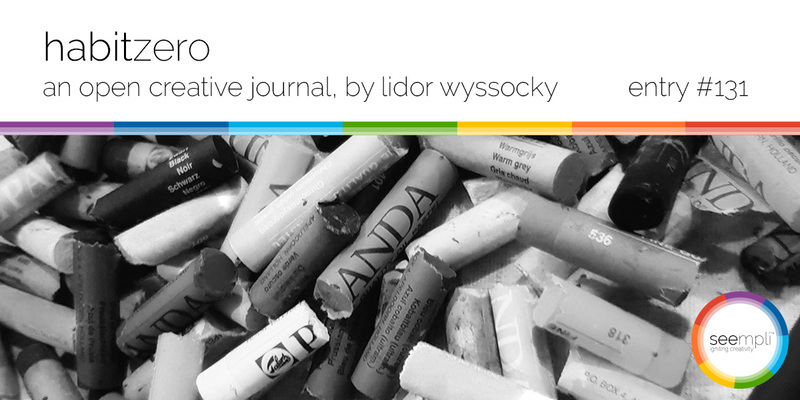 This is an exploration exercise which enables you to practice creative and mindful observation. Next, using the same Prism, try to think of one interpretation for the graphical shape on the Seed before you look around you for an Insight. 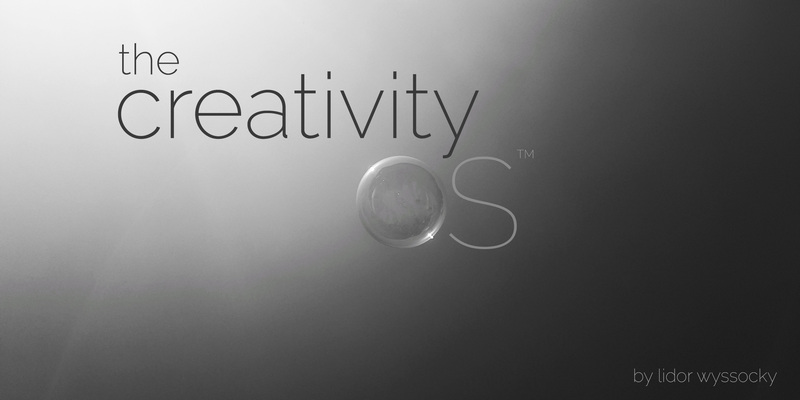 This variant activates your imagination first, and your creative observation later. The more you play with the Seed, the more surprising interpretations you will come up with. Don’t censor yourself, just go with whatever comes to your mind. When I played with this Seed, the first thing I thought of was the sentence: “Time is nothing but an illusion”. 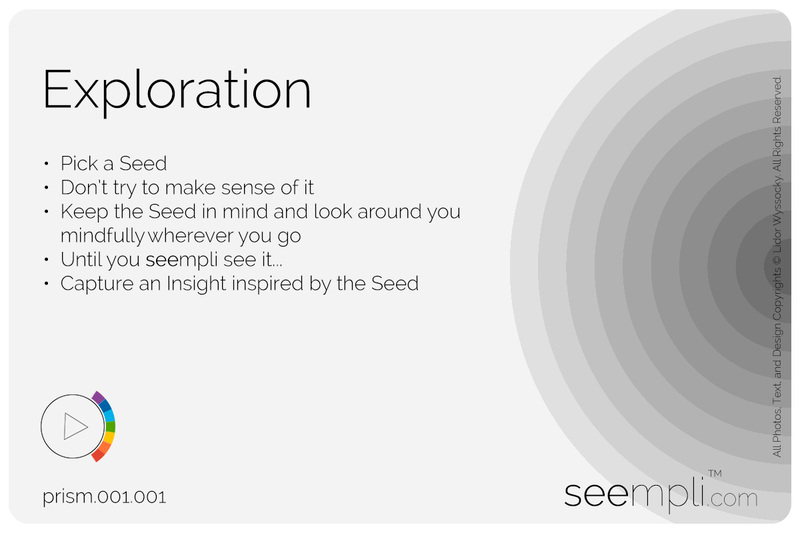 So now, instead of looking for things which are similar to the shape on the Seed visually , I can look for Insights which are connected associatively to the interpretation I came up with. As mentioned earlier each Seed has a title which you can read if you look for it on the Seed’s page. We recommend not looking for it unless the Prism instruct you to. Just play with the ReShape Seed with no bias. You can use this Seed with any of the seempli Prisms. Try the “literal” visual approach first, and loose interpretations later. And, of course, try as many interpretations as possible. You will find out you can imagine endless interpretations with time. You can even try using the ReShape Seeds as Writing Prompts. The results will be amazing! Now, let’s try a Prism designed specifically for working with a ReShape Seed. The ReShape X5 Prism. 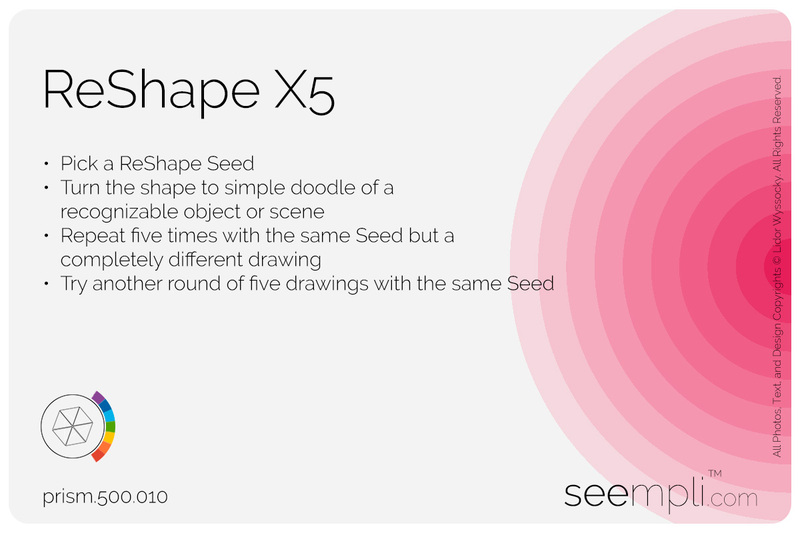 When playing with the ReShape X5 Prism, take the shape on the Seed and use it to create at least five different drawings. The more you play with this Prism and the same Seed, the more challenging this exercise gets. It is an exercise in abstraction, changing perspectives, and the ability to “see” beyond what is right in front of you. With the new ReShape Seeds we have opened a whole new way to practice your creativity and apply it to challenges and opportunities in your personal and professional life. We are adding new textual Seeds and ReShape Seeds on a weekly basis, so the more you play with seempli, the more surprised you will be. Now, it is your turn. 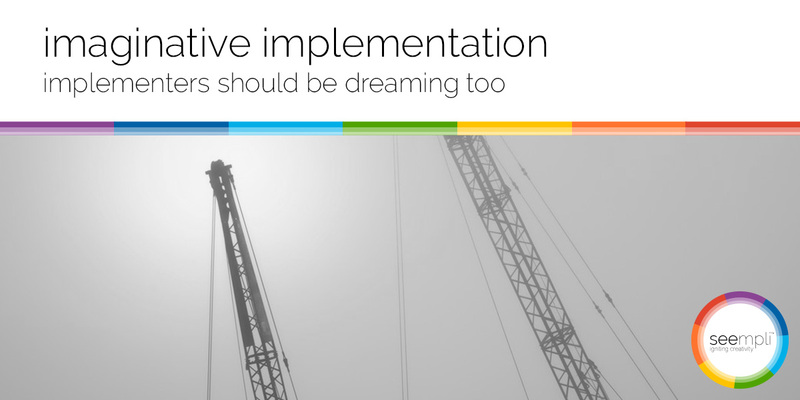 Jump right in and use seempli to rewire your mind and take it to next level of creativity.